If we look at some of the global smartphone brands are now starting to plunge into the dual-camera segment, including the Samsung and Apple giants. But if you think Google is the only smartphone manufacturer that has not launched a smartphone with dual-camera setup, you need to look at Sony which up to now also has not launched a smartphone with dual-camera setup. 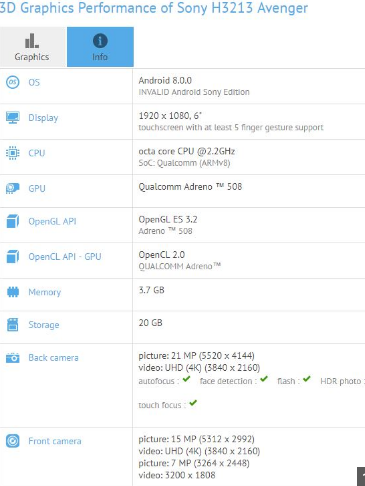 But apparently it will soon change because recently has emerged a mysterious smartphone in GFXBench with the code name Sony H3213 Avenger. The smartphone is expected to be the first smartphone from Sony that has a dual-camera setup. Smartphone with code name H3213 Avenger it has a FHD screen of 6 inches. 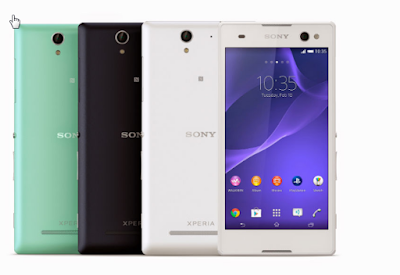 The size is the same as the Xperia XA1 Ultra but it is not known whether the device will come with a new design that will be planned by Sony for next year or not. In the jeroannya section, there is a Snapdragon 630 chipset with 2.2GHz CPU octa-core and Adreno 508 GPU combined with 4GB of RAM and 32GB of internal storage. Sony H3213 Avenger will come with 21MP rear camera with autofocus feature, and HDR 4K. This device is also known to run Android 8.0 Oreo. Judging from the specifications, this device is quite competitive in the mid-range class, but also need to see how much the price when the smartphone is released. Sony is known not to launch a device with a lower price than its competitors, but is expected if this device will be priced at competitive prices.